We’ve got an interesting leak today, just in time before Samsung launches the Galaxy S9 and Galaxy S9+. As expected, true upgrades will follow the company’s updated product cycle. Since the Galaxy Note7, Samsung Mobile introduces features first on the larger screen. Today, we’ve got more details which claim that virtual fingerprint recognition will finally make it to the market this year. Samsung will introduce the feature on the Galaxy Note9. If true, this will mark a big win for it. Take a look below for the details. The first concrete rumors for Samsung’s Galaxy Note9 surfaced late in 2017. They, correctly so far, claimed that the phablet will feature virtual fingerprint recognition. Now, we’ve got another claim cited by a lot of different sources. It lays on an image which surfaced on the Chinese social network Weibo, and was initially reported on by Zol. 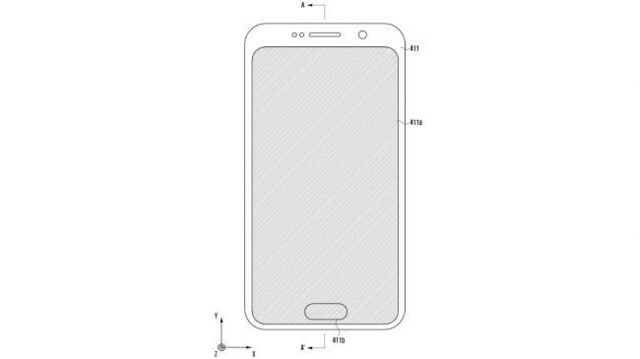 The publication claims that Samsung intends to file a patent for the Galaxy Note9; with the image in question being a part of this application. 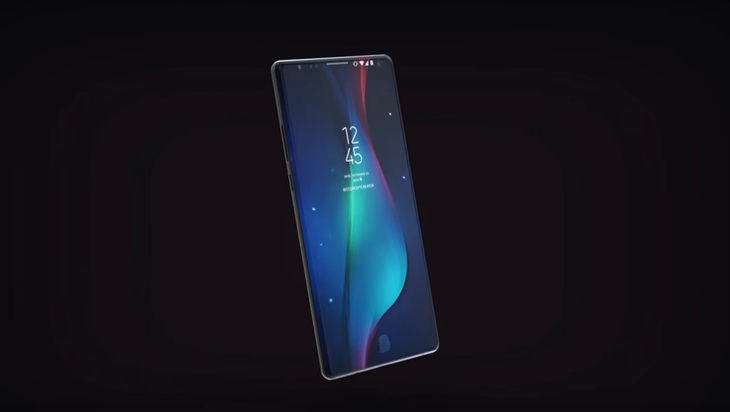 However, it’s highly unlikely that the Galaxy Note9 will follow the design shown below. Unless Samsung wants to shoot itself in the foot. The interesting details for today’s leak lie in the specifications shared by Zol. They cover a lot of different areas for the Note9, so even if untrue, someone clearly took a lot of time to compile them. These sound reasonable for a 2018 flagship, suggesting 8GB RAM and 256GB internal storage along the Snapdragon 845. An interesting addition is the 3.5mm earphone jack, as Samsung also refuses to follow the Bluetooth bandwagon. Of course, there’s a lot of time until the Note9 is launched, so such a detail can change. Finally, the detailed specifications posted by Zol also promise a far-fetching 43MP rear camera sensor. Combine this with virtual fingerprint sensor and Samsung will once again succeed at demonstrating its ability to work with high-end specifications. A big, big change includes 3D facial scanning. But at the moment, Apple’s position in its self-created segment looks pretty strong. For facial recognition, you need to stay tuned for Huawei’s P20 lineup. They’ll show how far the tech has progressed for Android. Thoughts? Let us know what you think in the comments section below and stay tuned. We’ll keep you updated on the latest.